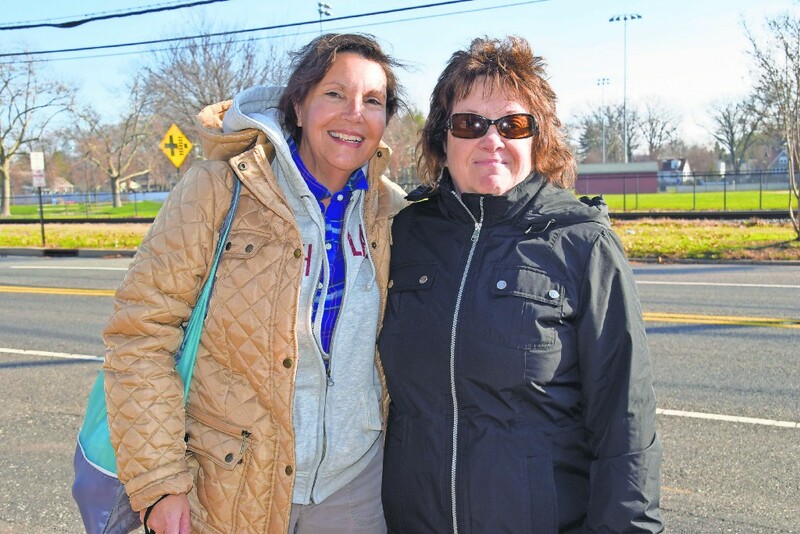 Jane Paone and Gayle Farrell take a stroll down Broad Street. Paone visits the Moorestown luminaries every holiday season, while Farrell takes a trip to New York City with her husband. The holiday season is in full swing in Palmyra, and families are getting ready for their holiday traditions. From enjoying eggnog by the fire to wearing matching pajamas, every family does something a little bit different. Resident Joseph Jack says his favorite holiday tradition is drinking eggnog by the fire with his rottweiler, Zeus. Palmyra mailman Dean Harrison loves to decorate his house and go to church on Christmas morning, followed by a huge holiday dinner. Holiday traditions specific to Palmyra include the annual tree lighting ceremony and a visit from Santa Claus to the community center, according to Marie Nagle, assistant to the administrator at Borough Hall. While the tree lighting typically takes place on the first Friday of December, this year it took place on the second Friday. When Nagle is with her family, she enjoys Polish traditions that have been in her family for as long as she can remember. Nagle’s family also partakes in sharing of the oplatek, more commonly known as Christmas wafer. Gayle Farrell and her husband, who live in Riverton, go to New York City every year to see the Christmas tree in Times Square. “We usually do a Wednesday where you can go to Times Square and see what shows have half-priced sales,” Farrell said. After the show, Farrell and her husband get dinner in Times Square then head to see the famous Rockefeller Center Christmas Tree. The tree is typically lit in late November and stays lit until early January and is a symbol of the holidays in New York City. This year, thousands of people attended the tree lighting on Nov. 30, and millions watched it live across the world. Farrell added that as long as weather permits, her family will be going this year, referencing the two straight weeks of rain in New York City before Christmas last year that prevented them from visiting. Farrell’s friend Jane Paone takes her family to see the luminaries in Moorestown each year during the holiday season. On Christmas Day, she heads to her daughter’s house to watch her 2-year-old grandson open his gifts. Molly Morrison, a Palmyra resident who is also a library assistant at the Riverton Free Library, celebrates both Christmas and Hannukah since her daughter went to a Jewish preschool. “We light the Menorah and the Christmas tree,” Morrison said. As far as the library goes, Morrison raved about the yearly Candlelight House Tour — a holiday tradition that attracted more than 500 community members from Palmyra, Cinnaminson and Riverton this year. The five-hour event that kicks off the holiday season has been happening for more than 55 years and involves touring local businesses and decorated homes as well as other special activities.